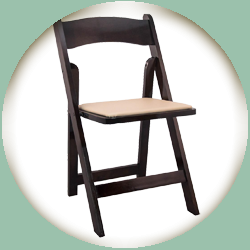 This Wood Folding Chair is the premier solution for banquets, weddings, graduations, and other upscale events. This beautiful chair will highlight your indoor or outdoor event without the need for chair covers or bows. The chair is constructed of beechwood that is finished in a clear lacquer varnish.